We are seeking an experienced Field Service Diesel Technician to work as part of our busy team in Horsham. Reporting to the Service Coordinator, you will be providing same day, safe breakdown repair service to our customer’s onsite equipment. Working at William Adams offers you the chance to work for a market leader offering quality products and services. 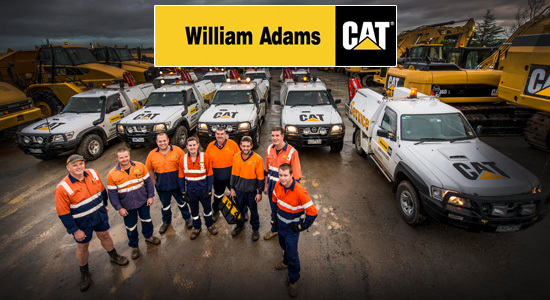 Being the Victoria and Tasmania Caterpillar dealership since 1926, when you join the 600+ people employed by William Adams you are joining the 200,000 global Caterpillar family employees. In addition to earthmoving equipment distribution and product support, William Adams also supplies Caterpillar products and service to the construction, mining, quarrying and agricultural markets. William Adams also rents equipment in this territory via the CAT Rental StoreTM operation. If you are up for a new challenge, looking to advance your career and enjoy working with people who are proud to represent a globally recognised brand, this is the role for you! Please note: you must be an Australian citizen or possess a valid Australian working visa to apply.